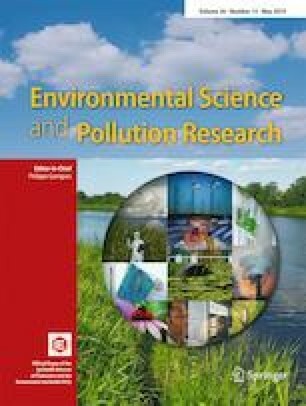 A study of organic compounds that caused a serious taste and odor episode of water supply in two residential areas in Catalonia (N.E. Spain) was carried out. Sweet and paint/solvent odor were the main descriptors used by consumers. Some cases of sickness and nausea were also associated with drinking water consumption by the consumers. Closed-loop stripping analysis (CLSA) combined with sensory gas chromatography and gas chromatography mass spectrometry detection were used to study the problem. As a result, 3-(trifluoromethyl)phenol (CAS number 98-17-9) was for the first time identified as a responsible of an odor incident in drinking water. Concentration levels of this compound were up to 17,000 ng/L in groundwater and up to 600 ng/L in distributed water. Odor threshold in water for 3-(trifluoromethyl)phenol was determined as 13 ng/L (45 °C). The online version of this article ( https://doi.org/10.1007/s11356-019-04635-y) contains supplementary material, which is available to authorized users. We are grateful to Dr. Auguste Bruchet for his explanations about past episodes in France involving fluoro-related compounds and to M.J. Domínguez-Cereijo for the details of the distribution system and sampling coordination. We are also grateful to all our colleagues of the Analytical Organic Chemistry Department for dealing with the daily work and spending time to move forward this study. We would also like to thank you I. Pérez and all the members and volunteers of the panel.